This was a week of milestones: My dad is back in the country after three long months in Saudi Arabia and Miss H's first tooth poked through to say hi. Before I head offline for a weekend of gardening and parental visits, here are some fun picks for the week. Have a great weekend, everyone! This is kinda the coolest thing ever made. 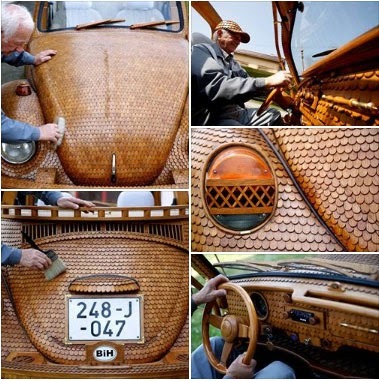 A Bosnian man spent two years covering a Volkswagen Beetle in wood - 50,000 separate pieces of oak, to be exact. Holy awesome. 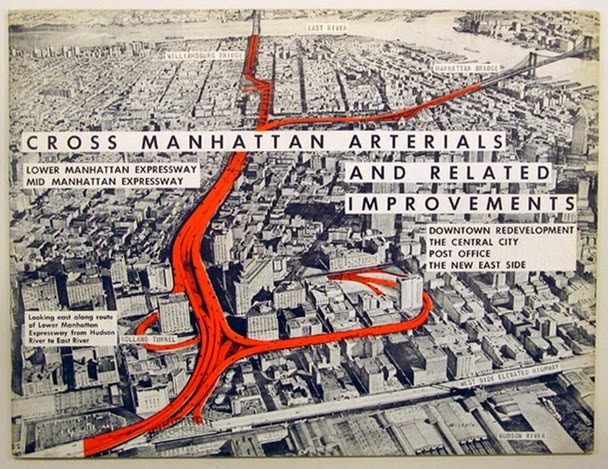 This will only resonate for any planning nerds who may happen to be reading, but if you're out there, HOLY CRAP A ROBERT MOSES AND JANE JACOBS OPERA. I am there. Do you think the cast will sign my dusty graduate school thesis? I recently lost one of my two favorite eye pencils. Grrrrr. I'd had it for years and had plenty left for another couple of years, too, so it was a no-brainer replacement. 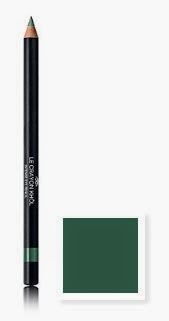 Green-eyed gals, get your hands on this standby for me: Chanel Le Crayon Kohl in Black Jade. It's pricey but as I said, lasts forever and makes eyes like mine pop like no one's business. That wood Bug is amazing. My mom had a white convertible Bug when I was growing up so I've always loved them. My green eyes thank you in advance for the eye pencil tip! I need some new eyeliner- I'm going to have to set my cheapness aside and give that one a try.